Missed the train and don’t want to be late for work but absolutely need that coffee? Waiting in lines is so old school – now there are apps that let you order and pay in advance so you can just stroll in, collect your coffee and be on your merry way. Coffee – or as I say, the fuel of life – is essential but you may also need a bite to eat too! 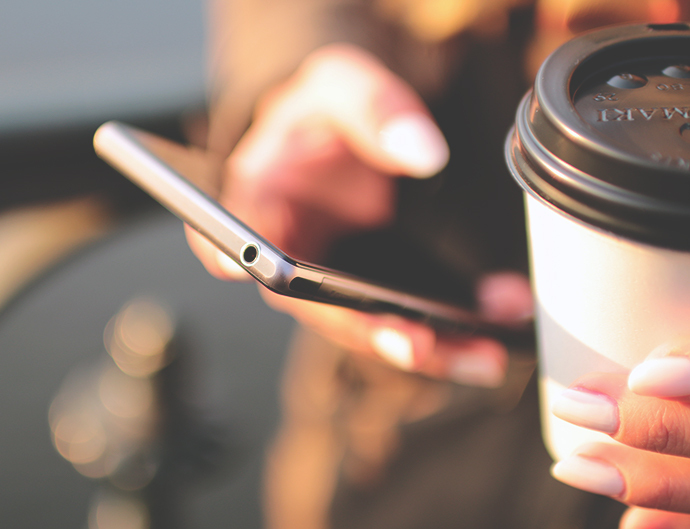 There are a number of coffee and food ordering apps out there but here are some of our favourites, handpicked to help you get your morning buzz and a bite to eat on the go! If you are a morning coffee fiend and need a little taste of magic to function, Hey You is great! You may have heard of this app before – it’s actually the next generation of the old Beat the Q, Possee and eCoffee Card apps which have been combined to bring you brand new coffee shop suggestions, cashless payment and loyalty rewards all without having to wait in line. Although this app doesn’t include delivery, if you’re a regular, it will save you time by tracking your previous orders. This means that you can quickly tap on your usual order and simply pop in to the cafe to pick up your coffee. This one is just for the Perthians! Cupflick works with local and independent coffee shops in Perth to bring you convenient cashless payment and discounts of up to 30% on your daily hit – that adds up to a lot of savings each year! Now, when it’s time for a proper feed there are some apps that let you order whatever your heart desires with the added bonus of not having to leave the house. Oh yes – get your PJs, Ugg boots and blankets ready for a night in as a couch potato (it’s especially handy if you’re sick or babysitting)! Thanks to this handy app, all you have to do is search your area for your chosen cuisine, order and pay with cash or card, and then it will be delivered to your door. You can choose to pick it up if you prefer – as long as you don’t mind people seeing your PJs! Menulog has a huge range of choices and they also encourage restaurants to offer discounts to loyal diners and freebies for the first timers. The hardest part is choosing what you want to order! Even though it makes us hop with excitement, the name is not the best thing about this app! Deliveroo is a little like Uber Eats in the way that it lets you scroll through and choose your meal and then track your delivery in real time. Whether you’re after a healthy option to replace your lunch that was left on the kitchen bench (again!) or a little guilty pleasure, you should receive your delivery by a speedy bike or scooter within 30 minutes – great news if you’re hungry! Feeling fancy? Deliveroo doesn’t just limit you to the regular kind of take-out food – you can even enjoy a classy night in with Jamie’s Italian! These apps seem to have pretty decent coverage throughout Australian capital cities so why not download them and see what’s in your area? If you have an app that keeps you running throughout the week, tell us about it! 2012’s biggest tech trends – who got it right? Erin looks after all things communications – coincidentally she is quite the chatterbox! A little quirky and not afraid of a burst of colour, she is a lover of red lipstick, all things vintage and can always be found with a coffee in her hand and a book in her bag.